Ferienhaus Baumgarten 1Tradition and modernity in the midst of natureThe 200 year old, typical Keuschlerhaus consists of 5 rooms: 3 bedrooms, kitchen, dining room, bathroom, WC and large wooden shed. In the lovingly renovated Landlust - holiday home with wooden floors and natural wood furniture you will feel right at home. The entire house is to be heated with a log - floor central heating itself. The house is fully equipped and the terrace offers space for table tennis, celebrations, barbecues or chilling out in a hammock. The idyllic property is ideal for relaxation with the whole family or with friends. 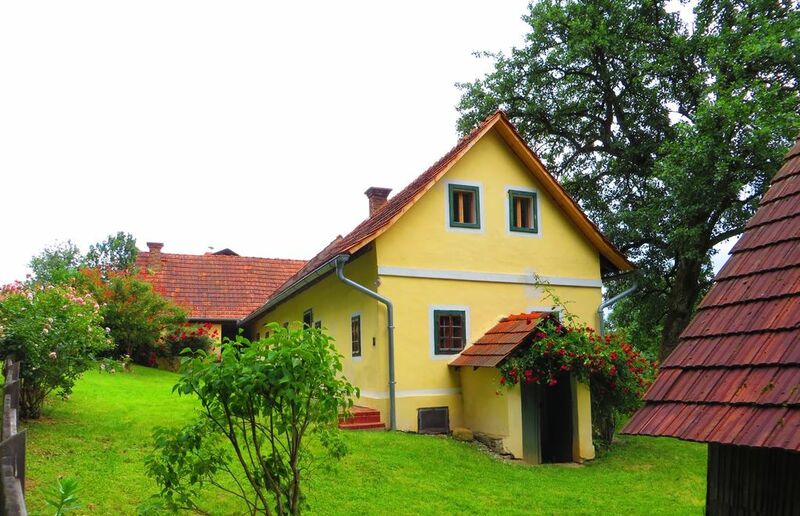 Location amidst natural meadows and beech forests. Maria, the owner could be contacted directly and sent a local manager across to talk to us during the initial visit. They do not speak English but they do their best to make sure that with limited German (on my part) all matters were handled correctly. At some stage the house was renovated, some of the finishes could have been done better, but you also need to look at the charges for this property. All up a very quiet location, beautiful views across a wooded valley and good value for money. Das gelbe Haus ist genau so schön, wie es auf den Bildern aussieht. Ein herrlich entspannter Ort!